Reseda Truck Accident Injury Lawyers With Over 40 Years of Experience Do You Need Assistance in a Personal Injury Claim or Wrongful Death Claim of a Loved One You Lost in a Fatal Truck Accident in Reseda, Los Angeles, CA? Truck collisions can be devastating. Large heavy trucks with their great momentum crashing into cars, motorcycles and other smaller vehicles, causing devastating injuries with huge hospital and other medical charges, loss of earnings and property damage. Contact our very experienced truck accident personal injury lawyers 24/7 who look after every detail pertaining to your personal injury case or wrongful death claim. We are diligent professionals with more than 40 years of experience in handling truck, car, motorcycle, bicycle, pedestrian and other accident injury cases and wrongful death claims. Our lawyers work hard to try to take away all hassles from time-consuming and daunting legal formalities, allowing you to focus on recuperating from the injury sustained or cope with the loss of a loved one. Visit our home page and our lawyer profiles page to know more about our Reseda, CA truck accident personal injury attorneys and law firm. You can contact us directly for a FREE PERSONAL INJURY CASE EVALUATION AND CONSULTATION. You can even get quick general truck accident advice on our Truck Accident Injury Advice Section. For more specific advice about your own particular truck or car accident, please call us now at 818-222-3400 or 1.866 INJURY 2. In the San Fernando Valley of Los Angeles, Reseda is a neighborhood with a total population of 74,363, according to the 2010 U.S. Census. 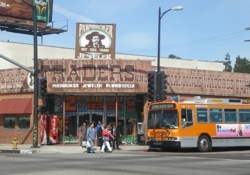 The Reseda community was incorporated in 1912 and its central business district started in 1915. For many years, the neighborhood was dedicated to agriculture but has since become an urban community with restaurants, stores and parks. Today, Reseda, CA has around fifteen (15) schools, five (5) private schools, public parks, a senior center, and a regional branch library. 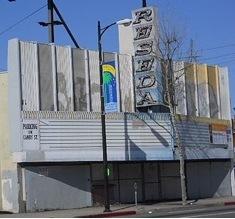 Different areas of the Reseda community have been used in several motion pictures and television productions. Notable people and celebrities from this neighborhood include actor Martin Donovan; Los Angeles City Council member, Donald D. Lorenzen; racing driver Jim Robinson; professional boxer, Zachary "Kid Yamaka" Wohlman; and “Scruffers”. Our Personal Injury & Wrongful Death Truck Accident Lawyers Are Here to Help You Win! We have recovered more than $100,000,000.00 for our clients. For more information about our Reseda truck accident injury lawyers and law offices, please see our Verdicts & Settlements and our home page. For a quick and easy way to reach us, fill out our contact us form 24/7 and tell us all about your truck accident personal injury case or other accident claims in Reseda, Los Angeles or anywhere in California. Our legal experts will get back to you at the earliest possible time or when you request. We Don’t Charge For Our Initial Consultation – it is ABSOLUTELY FREE! And on truck and other accident injury claims we work on a contingency fee which means we do NOT charge a fee until you WIN!! !